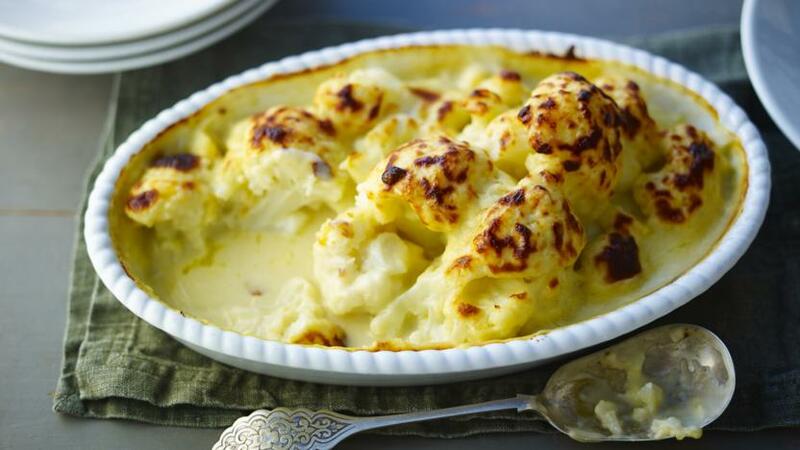 A simple and delicious cauliflower cheese recipe – a classic comfort food. A wonderful vegetarian roast accompaniment. Wash the cauliflower thoroughly and place in a large saucepan of salted water. Bring to the boil and cook for 3-5 minutes, until the cauliflower is almost tender, but still fairly firm. Tip into a colander and leave to drain. To make the sauce, melt the butter in a medium, heavy-based pan and stir in the flour. Cook over a gentle heat for one minute. 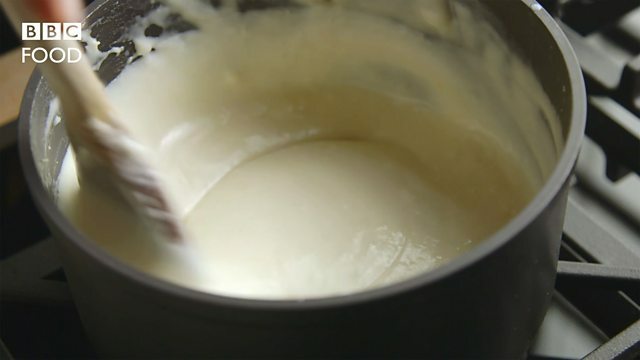 Remove the pan from the heat and gradually add the milk, a little at a time, stirring well between each addition. Return the pan to a medium heat and bring the mixture to the boil, stirring constantly. Simmer for two minutes, then remove from the heat. Stir in the mustard and two thirds of the cheese and set aside. Arrange the cauliflower in and ovenproof baking dish. Carefully pour over the sauce, ensuring the cauliflower is completely covered. Scatter over the remaining cheese and bake for 25-30 minutes, until the top is golden-brown and bubbling.